Texas Court of Criminal Appeals Judges Cathy Cochran, Tom Price and Paul Womack confirmed that they will not run for re-election in 2014. The news sets the stage for the court's biggest change in recent memory. 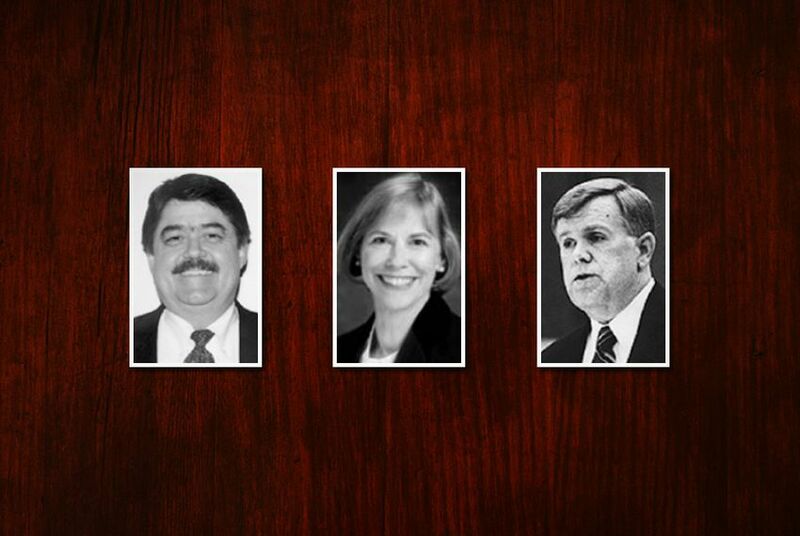 All three Texas Court of Criminal Appeals judges whose terms expire in 2014 — one-third of the nine-member panel — have elected not to seek another term, setting the stage for unusually high turnover on the state's highest criminal court. "This is a lot leaving," said Chuck Mallin, appellate chief in the Tarrant County district attorney's office. "It's always a scary proposition, because you don't know what you're going to get." Judges Cathy Cochran, Tom Price and Paul Womack each confirmed that they will not run for re-election in 2014. At least eight individuals have filed forms indicating they have appointed treasurers for campaigns to fill those seats, according to the Texas Ethics Commission. Candidates don't officially file to run for state offices until later this year. The retiring judges together have more than 40 years experience serving on the appeals court. "I’m just getting too old," said Cochran, who was a teacher before embarking on her legal career and joined the appeals court in 2001. "It's time to put me out to pasture." Womack said his decision to leave the court, where he has served since 1997, was "nothing very dramatic." "Three terms is enough, and I’ve reached retirement age," he said. Price, who has also served on the court since 1997, did not comment about the reason for his decision not to run for a fourth term. University of Texas School of Law professor Jennifer Laurin said the large turnover at the court could have a dramatic impact on the decisions that the panel issues on critical criminal justice issues. For example, Cochran, Price and Womack all joined in the majority opinion released this month in the Steven Staley case, agreeing with Judge Elsa Alcala that the mentally ill death row inmate should not be forcibly medicated and that without the medication he was incompetent for execution. The three judges, she said, have often been in the majority on the recent opinions with a consistent trend toward opening up cases that would otherwise have been closed in light of new scientific developments. "A number of those decisions could have gone the other way" without those three judges on the panel, Laurin said. Just how different the court — and its decisions — will be after the elections will depend on who the winners are and the judicial philosophies they bring to the bench, she said. Mallin, who has practiced before the court since the 1970s, said that he has viewed the its decisions over the last decade as "middle of the road." And that's where he'd like the court to remain. "You never know what they're going to do when they get on the bench," Mallin said. "There can be a major change, and I've seen the swing." "The voters don't really pay much attention to judicial races like they should," he said. "They're probably some of the most important offices that citizens are allowed to vote for."